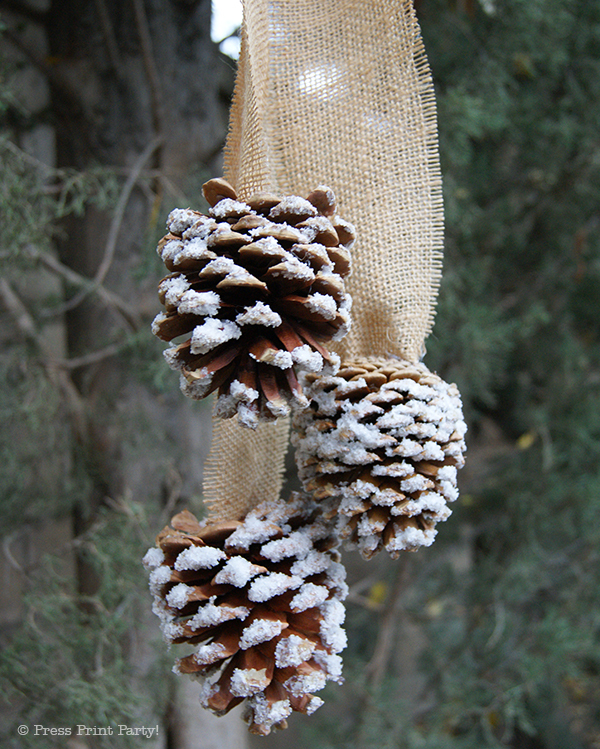 I’ve seen frosted pinecones all over the stores and thought it would be silly to buy a pinecone that I can pick up pretty much anywhere there are pines. And it turns out frosting them is a breeze. So, on my last trip to the mountains I picked up a crate full and got to work. 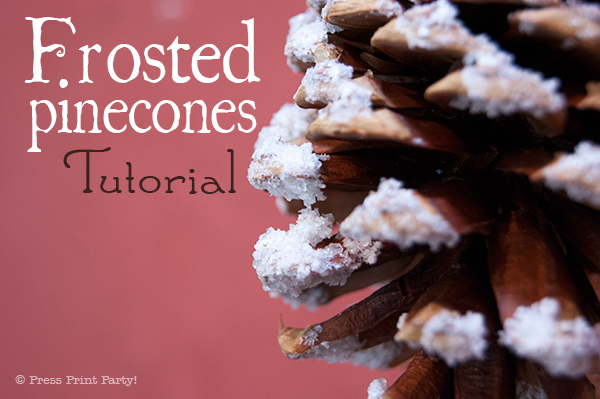 In this tutorial I will show you, not only how to frost the pinecones, but also a pretty and simple way to hang them. Bonus! They smell wonderful. 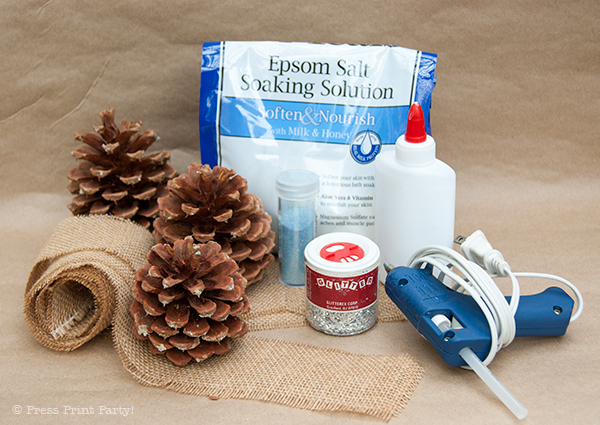 Pour some Epsom salt and glitter in a bowl and mix. 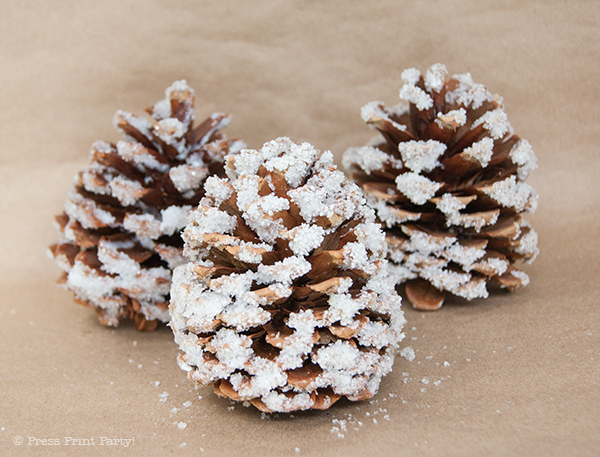 Squeeze glue onto the tips of your pinecones and immediately roll in in the Epsom salt mix. 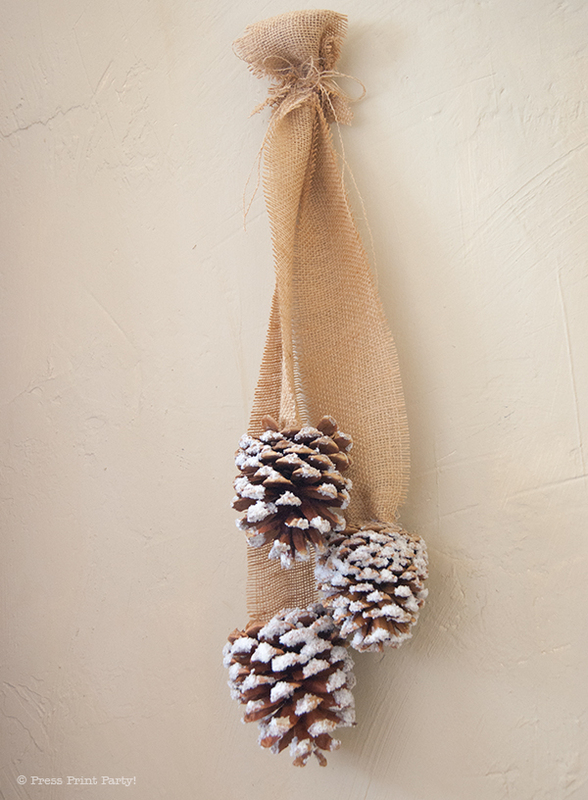 … then apply a generous amount to glue to the bottom of each pinecone with a glue gun to glue the burlap strips. 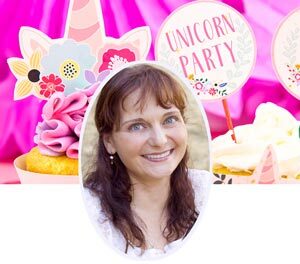 … or indoors. And the scent of the Epsom salt is perfect for a bathroom. 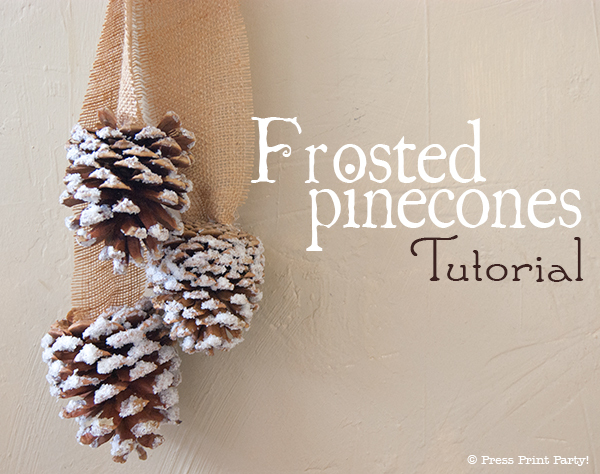 Pingback: Frosted Christmas Wreaths Tutorial by Press Print Party!